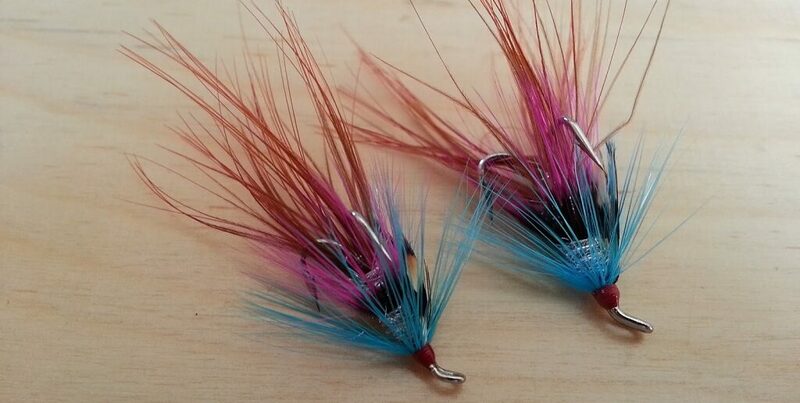 The Wilkinson Shrimp salmon fly is a personal favourite. It’s especially good in clear water and in bright conditions. You can also use Silver Lite Brite or Angel Hair for the body of the Wilkinson Shrimp. Albert Atkins (inventor of the Apache Shrimp) also ties his with Orange bucktail for the tail instead of the Golden pheasant Red breast feather, and adds in a few strands flash for good measure.